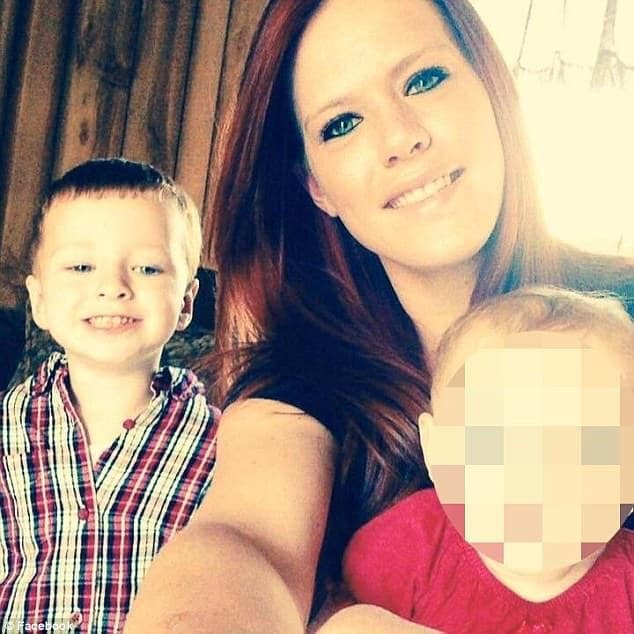 Pictured Morganton, North Carolina mother, Jamie Lyn Basinger and her three year old son, Landyn Michael Melton . 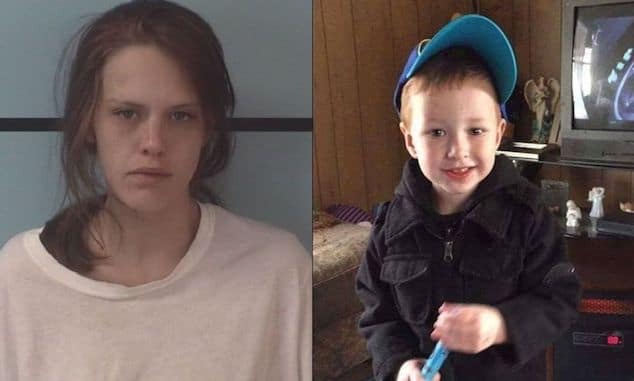 Jamie Lyn Basinger a Morganton, North Carolina mother is spared prison after her three year old son froze to death after being locked out while she was high on drugs. 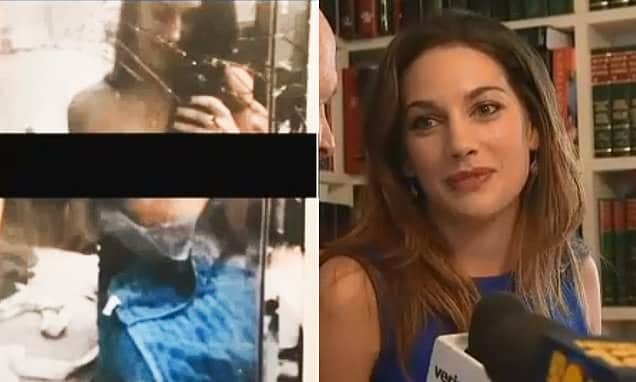 Jamie Lyn Basinger a 24 year old North Carolina mother has been spared jail after pleading guilty to involuntary manslaughter in the death of her 3-year-old son, who froze to death on the front porch of their home after she ‘passed out’ on drugs. 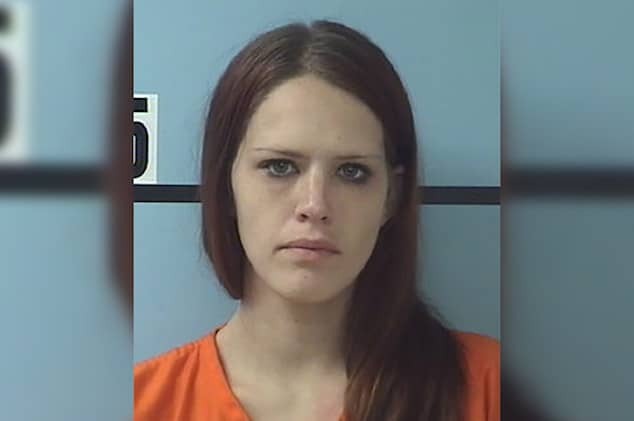 The Charlotte Observer reported the Morganton mom receiving a suspended sentence of 19 to 32 months with 3 years of supervised probation after pleading guilty in connection to the death of Landyn Michael Melton in March. Jamie Basinger, who’d already spent eight months in jail after being charged in April, was ordered as part of her plea deal to comply with all conditions of a substance abuse assessment, perform 72 hours of community service and adhere to all orders from the Department of Social Services regarding her other child. ‘While she was passed out inside the home, by her own admission sleeping harder than normal, Landyn was freezing to death,’ Assistant District Attorney Michelle Lippert told Judge Nathanial Poovey. 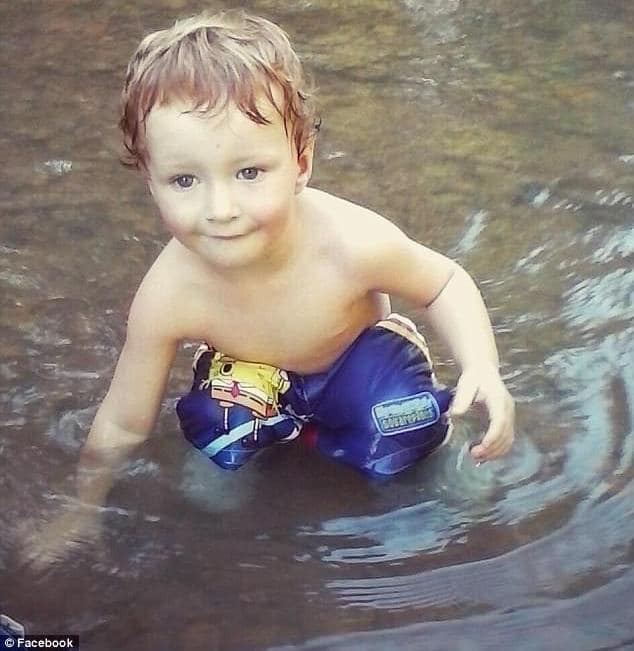 The boy was found dead on March 15 – one day after celebrating his third birthday — after a neighbor called police to report a toddler lying outside on the porch, reported the Morganton News Herald. Basinger’s boyfriend, Joshua Steffey, answered the door before getting Basinger from inside the residence. Both Steffey and Basinger later admitted to smoking meth two days earlier and marijuana the night before. 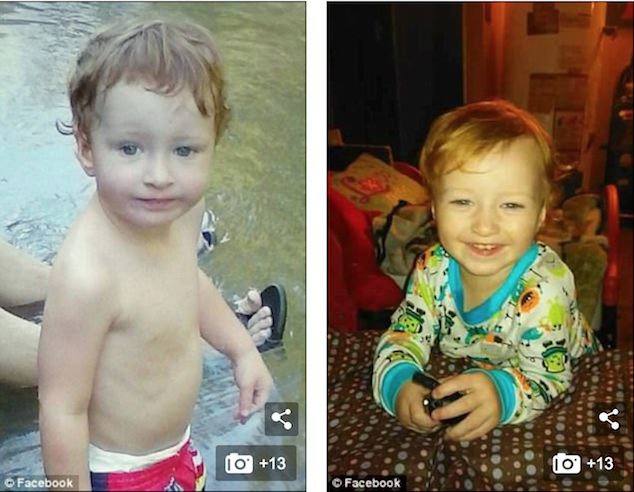 Pictured Jamie Basinger’s three year old son, Landyn Melton. Smudged fingerprints revealed three year old boy Landyn Melton trying to get back in the house. Smudged fingerprints on the porch’s glass door indicated that the boy had tried to get back inside the home after getting out of the house the previous night. Lippert said temperatures at the time were roughly 21 degrees without a wind chill, arguing that the child’s death was the result of the mother’s negligence. As part of a plea deal, prosecutors dropped a felony child abuse charge against Basinger. Following Monday’s hearing, Basinger’s mother said the sentencing did little to provide closure. Jamie Lyn Basinger. Police bookings. Image via, Burke County District Attorney’s Office. Jamie Basinger is a mother to one other child (shown right). She will be required to undergo a substance abuse assessment and acquiesce to orders from the Department of Social Services. Landyn Melton, North Carolina three year old boy.